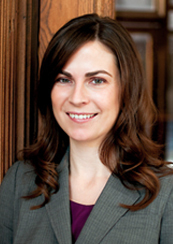 Amanda counsels public and private clients on environmental, natural resource, and land use matters. She assists clients with strategic planning, project permitting, regulatory compliance, natural resource damage assessments, and enforcement actions under a wide variety of federal, state, and local laws and regulations including the Clean Water Act, Endangered Species Act, Clean Air Act, Oil Pollution Act, National and State Environmental Policy Acts, and Washington State’s Shoreline Management Act and Growth Management Act. Amanda frequently serves as both advocate and project manager for complex projects, including those that require regulatory approvals from or coordination among multiple agencies, and also represents clients in administrative and judicial litigation. Her clients have included state agencies, industry associations, and proponents of aquaculture farms, shoreline restoration projects, and commercial and residential developments. Selected by her peers for inclusion in The Best Lawyers in America in the fields of Environmental Law (2013-2019) and Land Use and Zoning (2017-2019). Included in the Washington Super Lawyers list in 2016-2018, and the Washington Rising Stars list from 2010-2015, in the fields of Environmental Law, Natural Resources Law, and Land Use and Zoning Law. Coastal Law in Louisiana, Co-Chair, The Seminar Group, New Orleans, LA, March 1-2, 2018. Adapting to Climate Change, Moderator, Shoreline Regulation in Washington State: Marine Shorelines, Rivers and Lakes, The Seminar Group, Seattle, WA, June 1, 2017. Agricultural Law: Environmental Law Update: Mitigation Banking, Speaker, The Seminar Group, Wenatchee, WA, February 16, 2017. National Case Law Update: The What Else (Other Than Waters of the United States), Speaker, Fifteenth Annual Seminar on Wetlands in Washington, Law Seminars International, Seattle, WA, October 19, 2015. Shellfish & Seagrass – Regulatory Framework: Federal, State, and Local Permitting, Speaker, 69th Annual Shellfish Growers Conference and Tradeshow, Pacific Coast Shellfish Growers Association and National Shellfisheries Association – Pacific Coast Section, Hood River, OR, September 22 – 24, 2015. Environmental Impact Statements/Environmental Impact Assessments – Incorporating Climate Change and CO2E into Required Documents, Speaker, Preparing for Climate Change: New Regulations and New Litigation, The Seminar Group, Seattle, WA, November 12, 2014. Case Law Update: U.S. EPA water transfer rule litigation; Mingo Logan Coal Co. vs. EPA; other significant developments at the federal and state levels, Speaker, Fourteenth Annual Seminar on Wetlands in Washington, Law Seminars International, October 20, 2014. We Can Lead: Washington State’s Efforts to Address Ocean Acidification, Author, 3 Washington Journal of Environmental Law & Policy 188, 2013. Navigating the Regulatory Maze: Regulatory Processes Facing Shellfish Growers, Speaker, 63rd Annual Shellfish Conference, Pacific Coast Shellfish Growers Association and National Shellfisheries Association – Pacific Coast Section, Portland, OR, September 29 – October 1, 2009. Mitigation Banking on Agricultural Resource Lands, Speaker, Marine Shoreline Development 2009 Workshop, Law Seminars International, Seattle, WA, February 4, 2009. Land Use Permit Requirements: A Basic Overview (Washington State), Speaker, NonPoint Education for Municipal Officials, Pacific Northwest Land Grant Institution, Olympia, WA, October 6 – 7, 2008. Update on New Permits, Regulations, Legal Issues, Speaker, 62nd Annual Shellfish Conference, Pacific Coast Shellfish Growers Association and National Shellfisheries Association – Pacific Coast Section, Chelan, WA, September 30 – October 3, 2008. Mitigation Banking on Agricultural Resource Lands, Speaker, Marine Shoreline Development and Permitting Workshop, Law Seminars International, Seattle, WA, February 1, 2008. What You Need to Know for 2008, Co-Chair, Environmental and Land Use Law, King County Bar Association, Environmental and Land Use Section, Seattle, WA, December 12, 2007. 2007 Nationwide Permits, Speaker, Land Use in Washington – Wetlands and Stormwater, Law Seminars International, Seattle, WA, April 16 – 17, 2007.